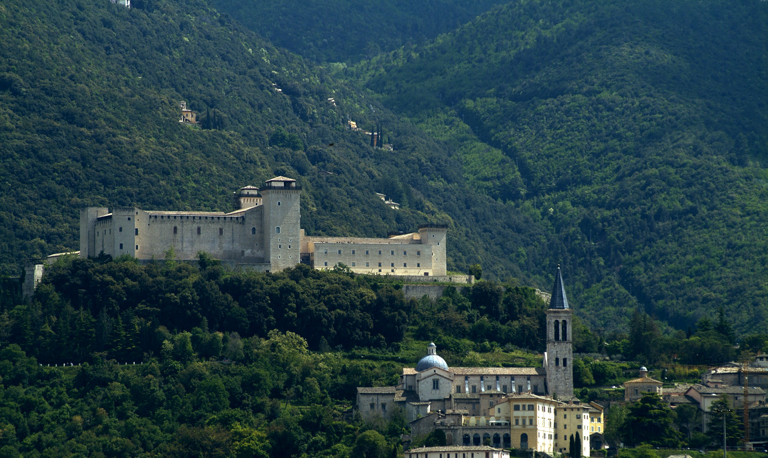 Arrive in Spoleto and visit to National Museum of the Duchy of Spoleto in the Rocca Albornoziana, a great experience discovering the ancient medieval architecture and its exhibition of the Lombard Age, where we will also admire one of the best views of Spoleto Valley. The high position of the fortress dominates the enchanting beauty of the surroundings. Stop for lunch in the city centre tasting typical dishes and free time for shopping of handicraft and food & wines productions. 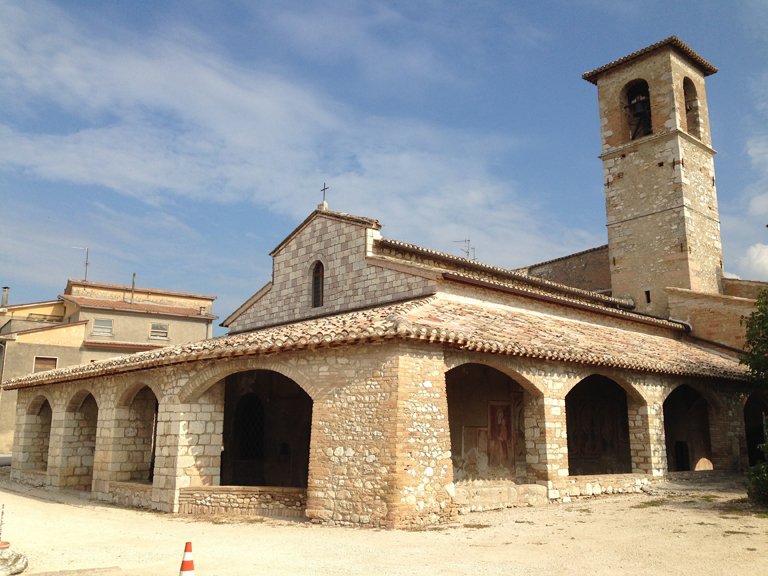 Afternoon visit to the Church of San Ponziano, where the relics of the Saint protector of Spoleto are preserved, and Basilica of San Salvatore, one of the main Lombard monuments of Central Italy and a World Heritage Site since 2011. Departure to Trevi. 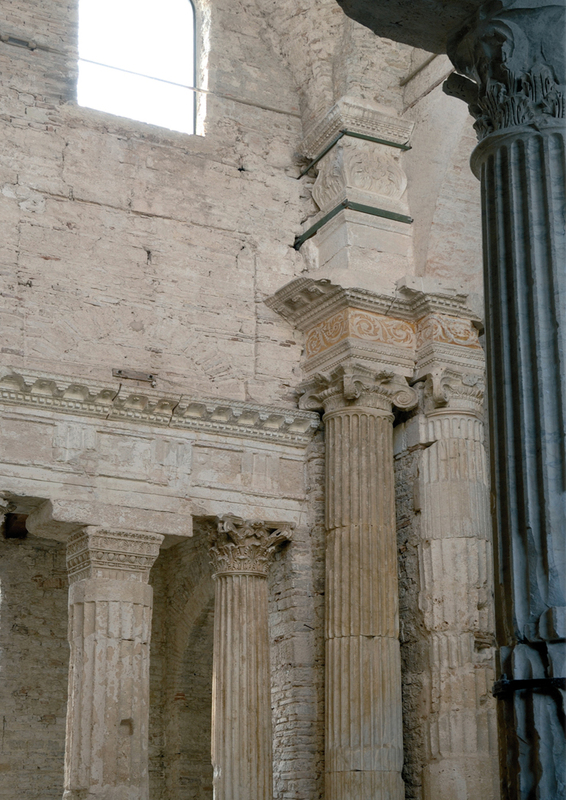 On the way visit to Clitunno Temple, a small chapel in the shape of a Corinthian temple, a masterpiece of religious architecture from the structural, decorative and landscape point of view, since 2011 recognized by UNESCO as a World Heritage Site. Arrive in Trevi. Dinner at the hotel and overnight stay. 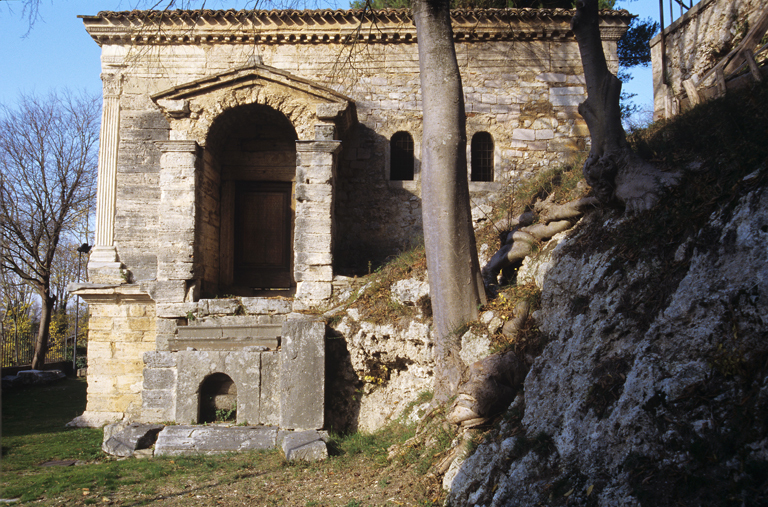 Breakfast and morning visit to the Museum of San Francesco: visit of its Antiquarium where archaeological remains and funerary objects found in the nearby necropolis of Pietrarossa are exhibited and visits to its Museum of the Olive Civilization, experiencing the long-living olive tree traditional cultivation. Stop for lunch in the city centre tasting local products and typical dishes. 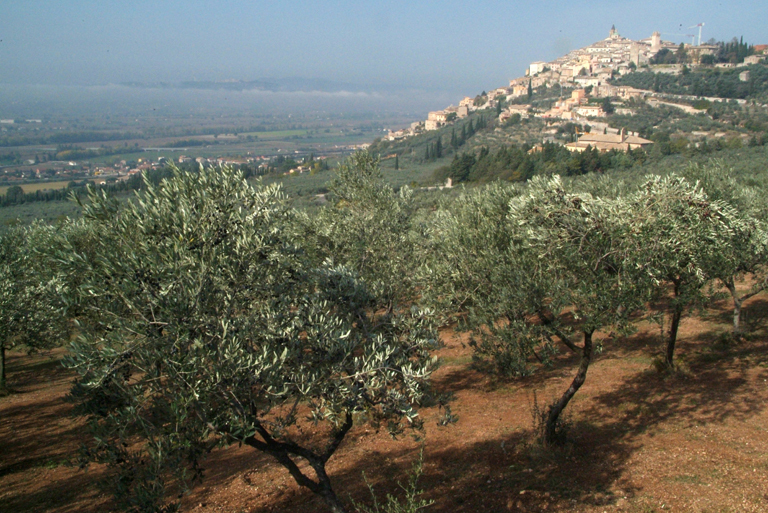 In the afternoon downhill to the valley through a wonderful landscape of olive groves and visit to the church of Santa Maria di Pietrarossa where a Lombard necropolis dating to the sixth and seventh centuries was discovered. Short stop in Bovara di Trevi countryside, visiting the Emilian Olive tree, that with its 1.700 years is one of the oldest in Italy. Visit of a local olive-mill and olive oil tasting with bruschetta. The tour through the historical centre of Spoleto can be difficult for wheelchair users and, in some points, for people with walking difficulties. It is advisable to contact the Tour Operator in advance to have directions on how to access the restricted traffic area and reach the points of interest by car. San Ponziano and San Salvatore are outside the historic centre and reaching them on foot requires a walk of about half an hour down and uphill. It is advisable for people with walking difficulties to reach them by car. Clitunno Temple is not fully accessible to wheelchair users. They can reach the outside area with some difficulty and the help of a companion (there are a threshold of 1,5 cm, a step 11 cm high and a ramp of 17% slope) and admire the temple from outside but cannot access it inside. There are 12 steps with handrail to enter the temple. Price includes: tourist guide, transport, 1 HB hotel accommodation in twin or double room, 2 lunches, entrance tickets for the museums and Clitunno Temple, oil tasting, including VAT. 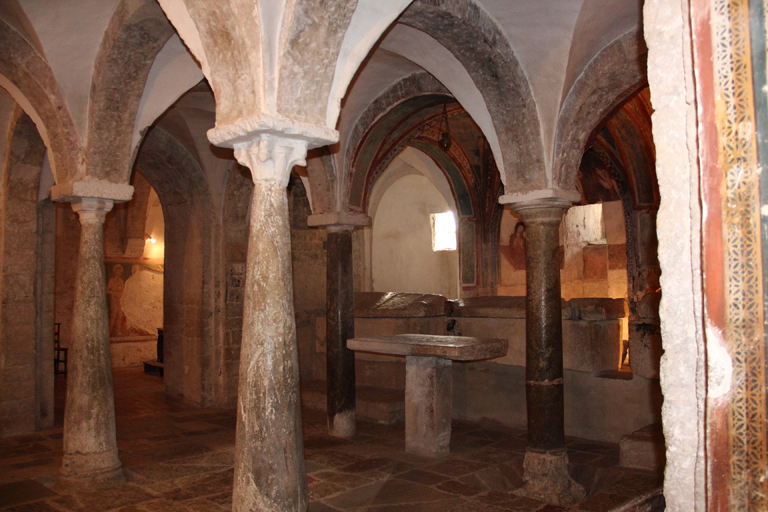 Following the damage suffered in the recent earthquake, the crypt is temporarily closed to visitors.